Brahms - Piano Concerto No. 1 in D minor Op. 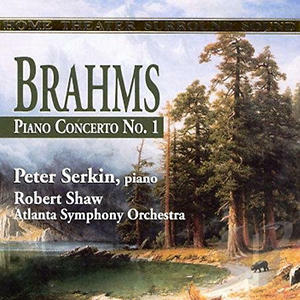 15 - Peter Serkin, Robert Shaw with the Atlanta Symphony Orchestra | Kirshbaum Associates Inc.
Brahms: Piano Concerto No. 1 (Peter Serkin, piano; Atlanta Symphony; Robert Shaw, conductor).